President Dmitry Medvedev has met the President of the Palestinian National Authority Mahmoud Abbas in the residence of the governor of the city of Jericho. This is Medvedev’s first visit to the Palestinian territories. The previous visit by a head of the Russian state was made by Vladimir Putin in 2005. Tuesday’s talks touched upon the Middle East settlement and the bilateral relations between the Russian and Palestinian people.They also signed bilateral agreements on cooperation between the two nations’ agriculture ministries, Olympic committees and national information agencies. ­Mahmoud Abbas, the host of the meeting, warmly greeted his Russian counterpart, saying the Palestinian people were overjoyed to welcome Dmitry Medvedev on their soil. The talks between the two leaders involved a number of pressing issues. One is the mounting tension between the Palestinians and Israelis, which Abbas believes is mostly provoked by Israel’s settling activities, especially in Eastern Jerusalem. The building of settlements is internationally criticized, he stressed. Russia, with its international influence and high respect from the regional players, has an important part in overcoming this problem. In particular, Abbas and Medvedev discussed the idea of an international conference on the Middle East peace process to be hosted by Moscow. "Russia already recognised Palestine in 1988. It was also recognized by 90 other countries. What do we expect from Russia now? 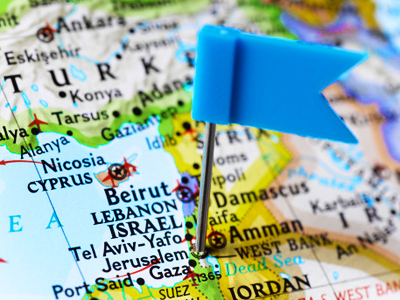 There are two things: the first concerns the Middle East Quartet. It's necessary to do everything possible to boost its activity, so that it is similar to the role of, say, the European Union," Abbas said. "We would like Russia to convince the U.S., because it's the only country that is against the final statement containing new conclusions. It will help us to have a better-substantiated discussion with Israel while promoting the peace process. Russia could also insist on its position in stopping the settlement activity, in its relationship with the U.S. and Israel, and on getting back to the negotiations table. I think that Russia is ready for that, that's what President Medvedev has reaffirmed during this visit," he added. Another issue where Russia’s help is needed and welcomed is the conflict between Palestinian factions. Finally, Abbas called for the lifting of the Israeli blockade of Gaza, which he said causes much grief for the Palestinian people. The Palestinian leader praised Russia’s continued support in every area, from trade and agriculture to security issues. A physical embodiment of the friendship between the two peoples is a museum in Jericho, which the two leaders are to open later on Tuesday. “I must say these statements are not just slogans but a serious position. And the support we get from Russia – economic, financial, educational and cultural — is the proof. So future Palestinian statehood will bear a Russian imprint,” stressed Mahmoud Abbas. President Dmitry Medvedev began his speech at the joint media conference with the Palestinian leader Mahmoud Abbas saying that that their talks were frank and held in an atmosphere of trust. 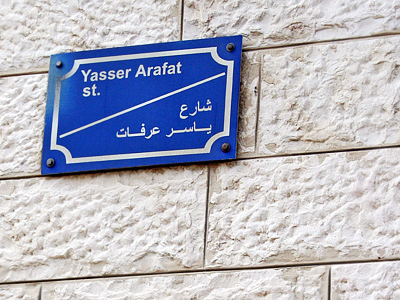 He noted that his current visit to the Palestinian National Authority is symbolic for two reasons. First of all, it takes place in the ancient town of Jericho which celebrated its 10,000th anniversary last year. And secondly – it is the first visit of a Russian head of state to the Palestinian territories that is not part of a trip to another state. He echoed Abbas, saying that the Middle East peace process was at the core of the talks. Medvedev reiterated Moscow’s stance over the creation of the Palestinian state and said Russia made its choice back in the ‘80s. "The Russian position remains unchanged: we have supported and we still support the indefeasible right of the Palestinian people to create their own united and indivisible state with the capital in East Jerusalem,” he said. "The creation of such a state would be beneficial to everyone – Palestinians, Israelis, and the entire region," Medvedev said. “That is what we should aim for”. He went on to say that Moscow is looking forward to the next meeting of the Middle East Quartet – comprised of the UN, the EU, Russia and the US – which will take place in Munich on February 5. Medvedev stressed that in order to revive the dialogue, the sides should “show maximum restraint” and stick to obligations. “First of all the freeze of Israeli settlement activity in the West bank and East Jerusalem,” he added. ­And Moscow suggests it acts as a major intermediary in reaching a solution in the Israeli-Palestinian conflict. 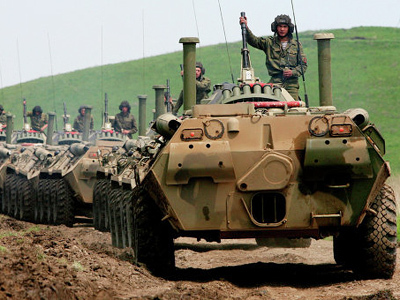 “The Russian initiative is on the table. Its main goal is to hold a Moscow conference on settling the Middle East problem as soon as possible. But we do not want to meet simply for the sake of meeting but to solve the issue or at least to take a serious step forward,” Medvedev said. “And we have a basis for it. These are international conventions, UN resolutions, the Arab initiative, decisions discussed in Annapolis and a number of other positions on which we have a common view. So if we put all this together, we’ll get a result,” he added. The current lack of any progress in the negotiation process is not satisfactory for all parties involved, stressed Dmitry Medvedev. A decision to end the settling activities is a prerequisite for progress. The time for any conference, be it hosted by Moscow or any other party, will come only after the negotiation process is restarted, because there is no sense in gathering for a conference, which has no hope to bring results, the Russian president added. The only alternative to peace talks is to return to violence and terrorism, said Mahmoud Abbas. This is not the choice of the Palestinians. 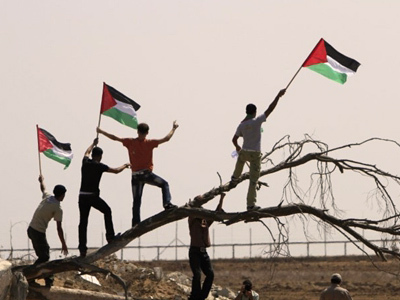 It is up to the Israelis to choose peace and stop building their settlements and return to the negotiation table. Medvedev recalled Russia’s earlier proposal to hold a Middle East conference in Moscow, saying that the initiative is still on the table. The point of it is not to simply meet, he underlined, but to come up with a solution or at least make significant progress in the Middle East peace process. The Russian leader added that full use must be made of the current international rules, UN Security Council resolutions, as well as resolutions passed by regional organizations in order to reach a new level in settling the Middle East problem. 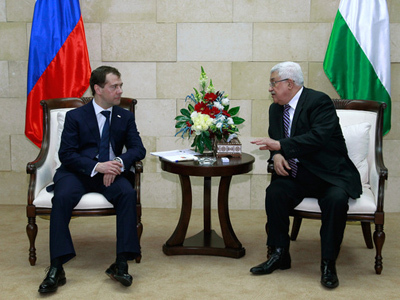 President Medvedev said that the relations between Russia and the Palestinian territories are not all about politics. The two sides cooperate in a wide range of areas including culture, sports, and many others. The Russian leader thanked the Palestinian side for a warm welcome and specifically praised Mahmoud Abbas’s attention towards the revival of Russia’s presence in the Holy Land. He expressed hope that the Russian-built Jericho Museum will attract tourists and pilgrims from all over the world. “I hope that the palette of Russian-Palestinian relations will broaden every year,” Medvedev concluded.